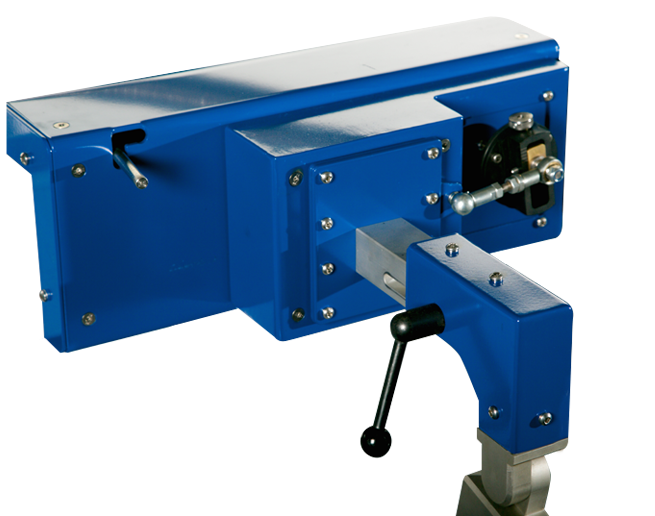 Hardbanding Solutions (Europe) Ltd has revolutionised the production of hardbanding equipment for the global oil and gas drilling industry. Pioneering and perfecting new technology, we’ve engineered a world leading range of units for the simple and successful application of hardbanding to drill pipe. 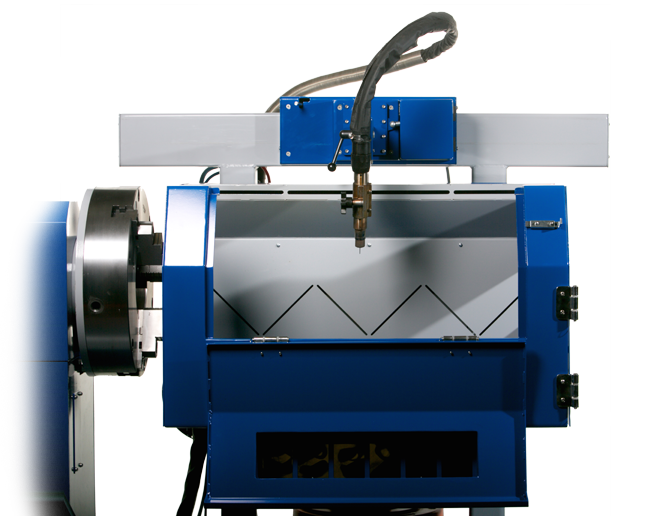 Offering the very best in functionality and the highest level of quality and reliability, our products are easier to use than any other hardbanding machine on the market. We know, because we’ve been there. Having spent most of our lives in welding and hardbanding, we’ve put everything we’ve learned along the way into creating the first fully automatic and mobile units to be operated with only minimal training, effort and manual input. 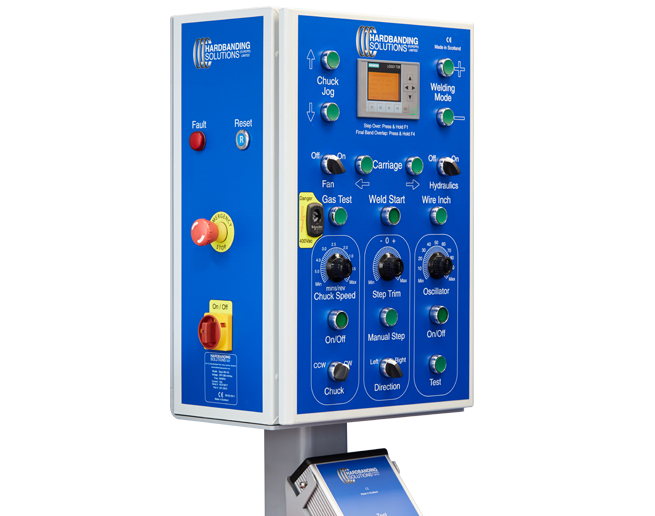 Incorporating a programmable logic controller, our control system offers you perfection at the touch of a button – once welding and torch positioning parameters are set, the operator simply has to select the number of bands required and press the Weld button to run the programme. That’s it. Chuck rotation, torch oscillation and the welding begin, giving a flawless start to your application. Welding fumes are dangerous and can cause a number of illnesses. These fumes should be removed from the working environment to protect operators. However, other hardbanding equipment manufacturers have never managed to successfully do this. It’s because they reduce the power of the extraction fans to stop them interfering with the flow of essential welding gas from the torch, which would result in poor application of hardbanding. This means a significant percentage of fume is not caught by the extraction system and ends up in the atmosphere, being breathed in by the operators. 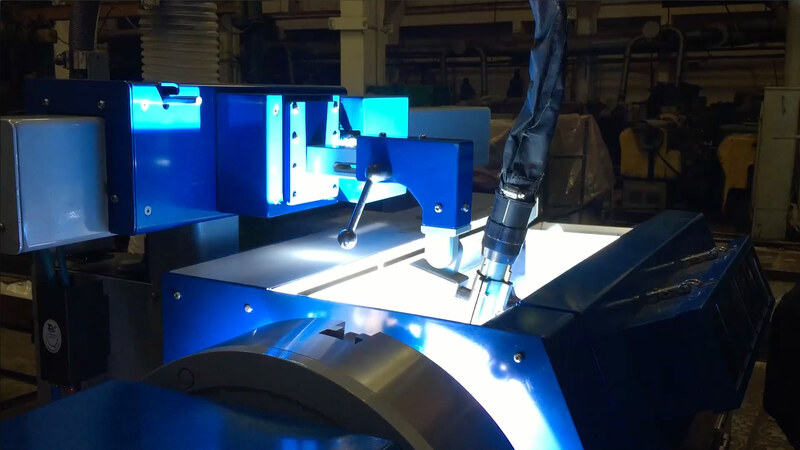 Getting the correct welding torch position for hardbanding can make the difference between a good looking application within customer specification, and a poor application with humped or concave bands, excessive spatter and wavy edges. Normally, positioning the off-set from centre, the angle and the height of the welding torch is a long, trial and error task which frustrates hardbanders worldwide.